With everyone caught up in the excitement of the World Cup, we thought it would be fun to do a little research on Latter-day Saints who have excelled in this worldwide sport. Gilbert, Arizona, native Ashley Hatch was an All-American at BYU before being drafted by the North Carolina Courage as the second overall pick in the 2017 National Women's Soccer League draft. Hatch took home NWSL Rookie of the Year honors in 2017. She currently plays for the Washington Spirit. She has made two appearances with the United States Women's National Team. Texas-born member Daniel Woolard started his professional soccer career in 2005. He has played for the DFW Tornados, Chicago Fire, Carolina RailHawks, and D.C. United. 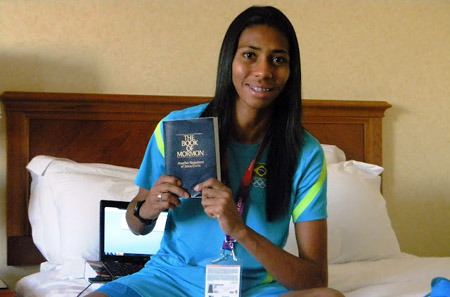 Brazilian convert Bruna Beatriz Benites Soares was baptized in 2000 and has played on the Brazilian team for both the 2012 and 2017 Summer Olympics. Erroll Bennett was on the Tahitian national squad and played in the 1973 Oceania Cup. His soccer days almost ended when he joined the Church in 1977, due to all games being on Sundays, but fortunately, the league opted to change them to accommodate more family time for all of their players. Read the rest of the story in the 1982 Ensign article on Brother Bennett here. His son Naea Bennett also went on to become a professional soccer player. Argentine Guillermo Lucas Franco joined the Church as a youth in 2002 with his mother. Though he played in division one for Godoy Cruz team as a young man, he put his soccer ambitions on hold to serve in the Argentina Mendoza mission. He returned to the sport and Godoy Cruz in 2007 after his mission. When Aleisha Cramer Rose was 16, she became the third youngest player to have ever played on the U.S. Women's National Team. She left the team in 2003, just before the World Cup and Olympics, out of a prompting and desire to not play on Sundays. Learn more about Aleisha in this 2003 New Era article. Retired soccer defender Jimmy Montanero earned 17 caps for the Ecuador national team between 1989 and 1993. He played for Barcelona for 20 years and was team captain for most of that time. During his career, he was widely known as "El Mormón." 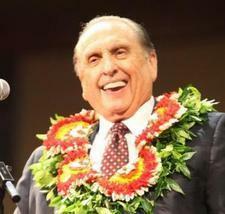 Mormon Freddy Rincón was baptized into the Church in the year 2005. The offensive midfielder played for the Colombia National team between 1990 and 2001. Milton Queiroz da Paixão, simply known as “Tita,” joined the Church at age 11, about the same time he started playing soccer. He began playing for Brazil, but also spent some time playing for Germany. He scored six goals in his time on the national Brazilian team, and has been a first counselor in the bishopric in Rio de Janeiro. Send us a comment to tell us if we missed anyone!